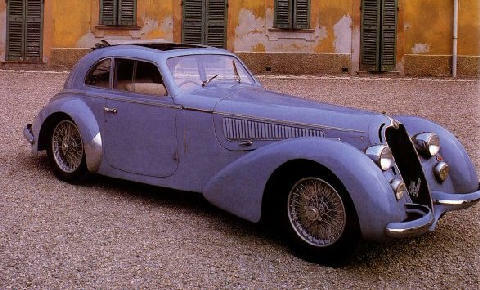 The 8C 2900 was a GP-car with a sports car body. 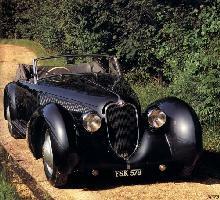 Once again the bodywork builders Zagato and Touring produced the most bautiful car. The 8C 2900 was an extremely expensive car. As a result only 30 of these cars were sold. Their eight-cylinder in-line engines with two compressors were really full-blooded Grand Prix cars with a sports car body.